Stress B-Complex contains an optimal balance of essential B vitamins, with extra vitamin B5 to support healthy adrenal and immune function. Healthy adrenal glands play an important role in effectively managing stress. 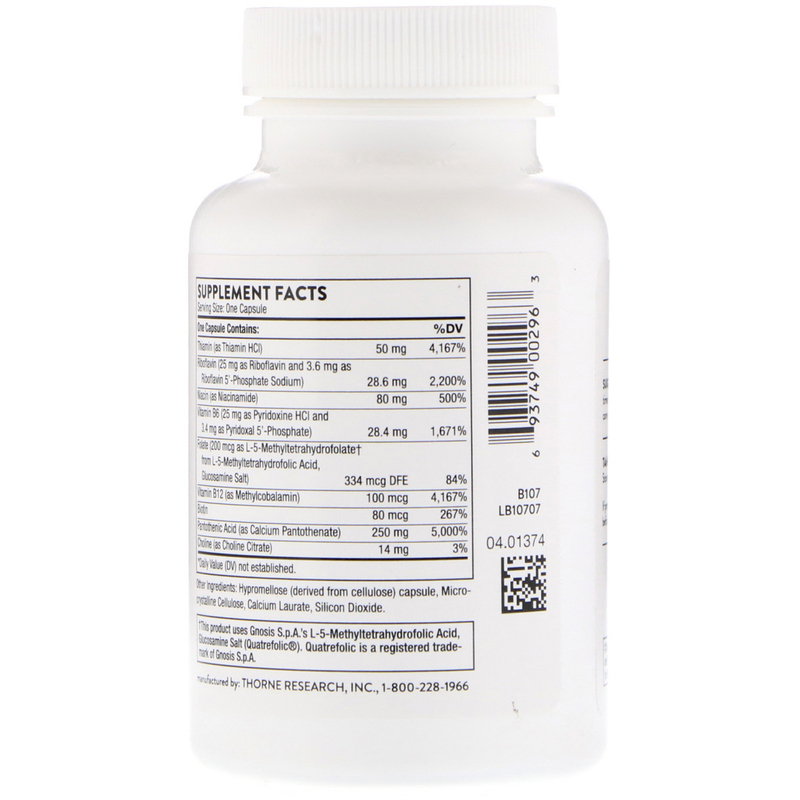 Pantothenic acid (vitamin B5) is part of the B-vitamin complex and is essential for healthy adrenal and immune function. Thorne's Stress B-Complex provide extra vitamin B5, along with seven other water-soluble nutrients: thiamine (vitamin B1), riboflavin/R5P (vitamin B2), niacin (vitamin B3), pyridoxine/P5P (vitamin B6), methylcobalamin (vitamin B12), methyl-folate (5MTHF), and biotin. Although each B vitamin is chemically distinct, they work synergistically in various biochemical functions throughout the body – including cellular energy production, healthy red-blood-cell formation, and healthy neurological function. Most B vitamins, with the exception of vitamin B12, are not stored in the body; consequently, they must be acquired daily from the diet in order to maintain optimal health. Pantothenic acid (vitamin B5) serves as the starting material for the synthesis of coenzyme A, which is important for the metabolism of fats and the synthesis of adrenal hormones. Pantothenic acid plays a key role in the formation of acetylcholine, which is needed in the transmission of nerve impulses. 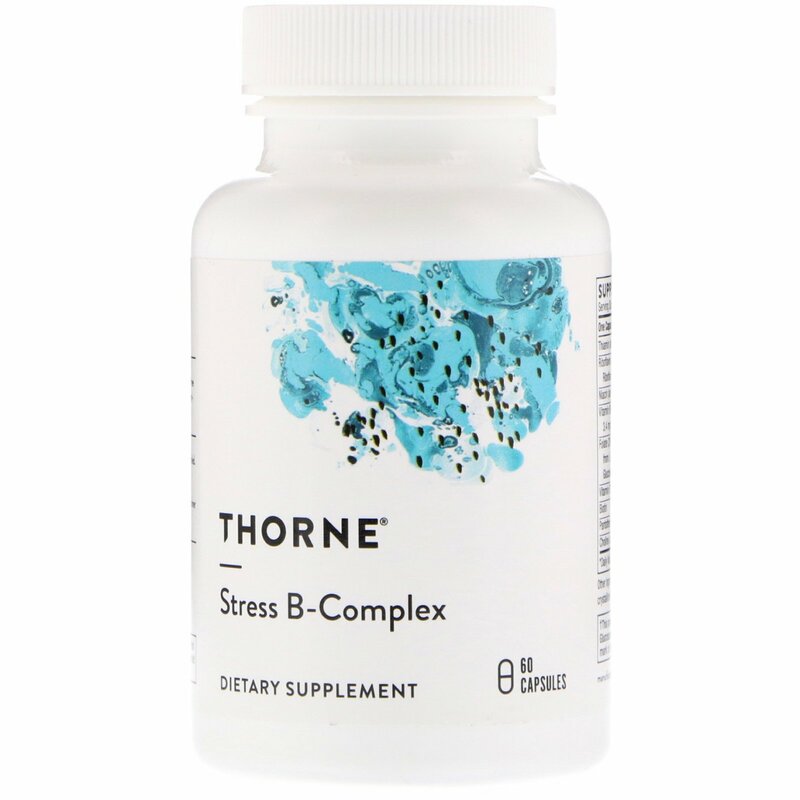 Thorne's Stress B-Complex supplies 250 mg of pantothenic acid.